Trader Joe’s Candles. For $4 a pop, these are amazing candles. I want some new Bath & Body Works ones, but I also know that their crazy candle sale is coming up in the next few months, so I am trying to hold off. These will hold me over perfectly. Selling the Condo! Yep, still looking forward to selling that place! 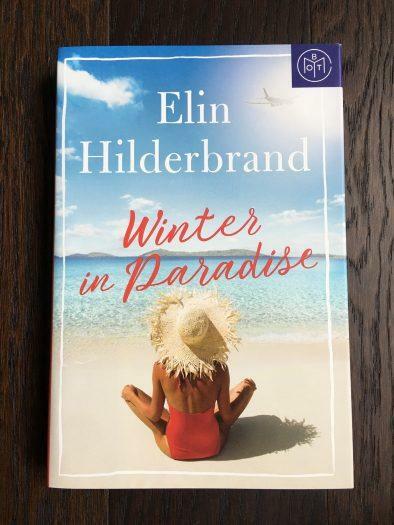 Winter in Paradise by Elin Hilderbrand: I just started this book, which is one of the October Book of the Month selections. I am hoping to finish over the weekend. M2M Sale Stuff. For the next two days anyway ;). Then I am “free” again until Spring. At least free from M2M stuff. You know I have volunteered for a million other things in between now and then ;). 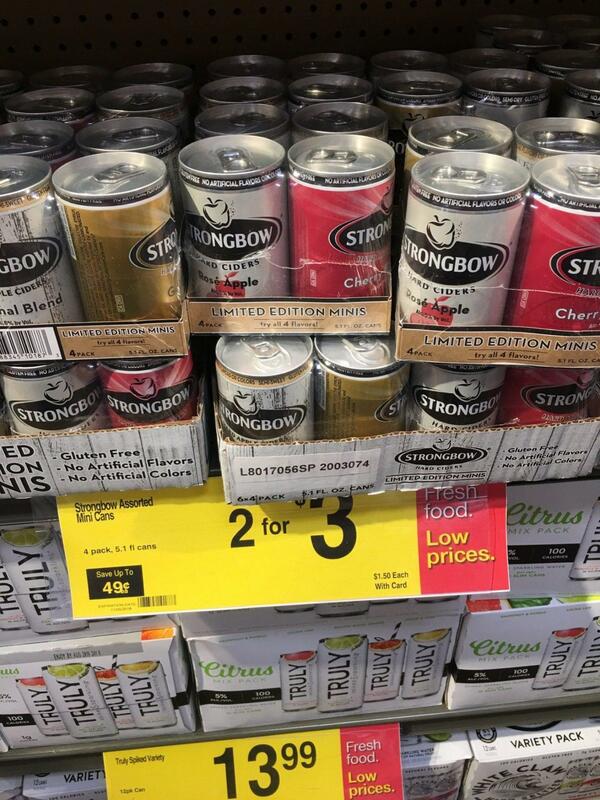 Strongbow Minis. I found these yesterday at the grocery store and already want to stock up on more. I need to do it soon because it turns out these are expired. The date is on the bottom of the can so you don’t technically know this until you buy them. I think they taste fine and need to pick up a few more “cases” (the minis come in a 4-pack and are 5oz/each) before they get pulled. Poshmark. The addiction continues. I want to declutter this house once and for all and Poshmark is making it happen. I.love.it. My favorite is when someone just buys my listings without making an offer first. Spoiler Alert – I’ll also take less than I am asking! My Hair. O.M.G. was my hair a mess. I finally made an appointment to see my girl this week and she fixed me back up again. It had been 18 weeks since I had been in there. ACK. My hair was so gray it was almost glittering under the salon lights. I feel like a new person with my fresh cut and color! Right now I am doing/looking/finding christmas presents and winter shopping, my kids changed clothing sizes this year. Those candles would probably sell rather well on poshmark. 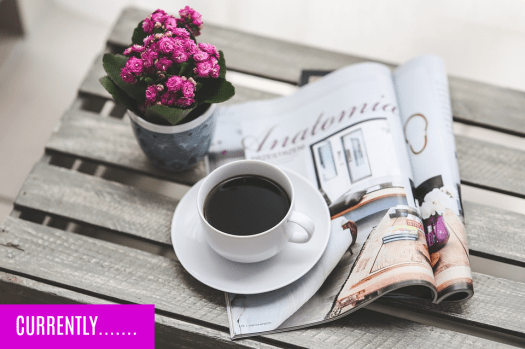 Its super easy…give it a try!! whats your name on poshmark? !